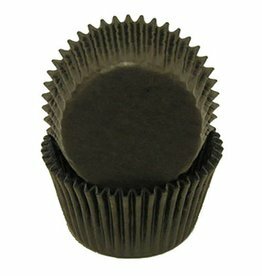 85-134 Brown Candy Cup #4 - 1 lb bag - Mini size paper baking cups, great for cupcakes, desserts, hot/cold appetizers, and candies. 85-319051 Standard size paper baking cups, 500 pieces per pack, great for cupcakes, muffins, desserts, hot/cold appetizers, and candies. 85-319351 Standard size paper baking cups, 500 pieces per pack, great for cupcakes, muffins, desserts, hot/cold appetizers, and candies. 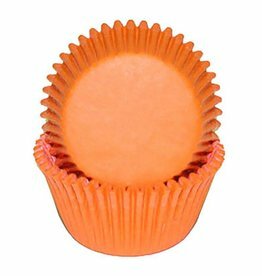 85-319651 Standard size paper baking cups, 500 pieces per pack, great for cupcakes, muffins, desserts, hot/cold appetizers, and candies. 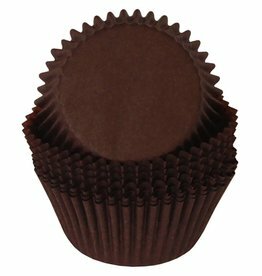 85-319751 Standard size paper baking cups, 500 pieces per pack, great for cupcakes, muffins, desserts, hot/cold appetizers, and candies. 85-319551 Standard size paper baking cups, 500 pieces per pack, great for cupcakes, muffins, desserts, hot/cold appetizers, and candies. 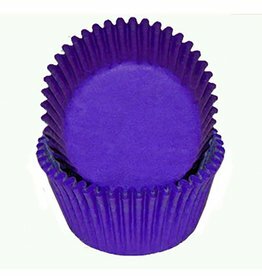 85-319151 Standard size paper baking cups, 500 pieces per pack, great for cupcakes, muffins, desserts, hot/cold appetizers, and candies. 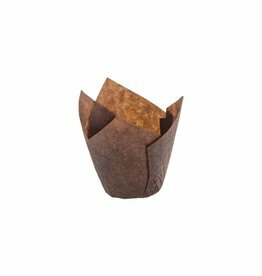 CUP250SE-S 2 x 1-3/8" size paper baking cups, 500 pieces per pack, great for cupcakes, muffins, desserts, hot/cold appetizers, and candies. FMN-BLACK Mini size foil shell with white paper inner-liner baking cups, 500 pieces per pack. Great for mini cupcakes/muffins, nuts, hot/cold appetizers, and candies. 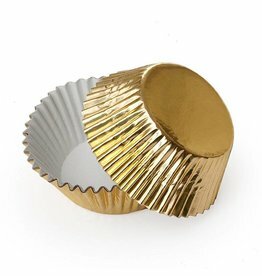 FMN-GOLD Mini size foil shell with white paper inner-liner baking cups, 500 pieces per pack. Great for mini cupcakes/muffins, nuts, hot/cold appetizers, and candies. 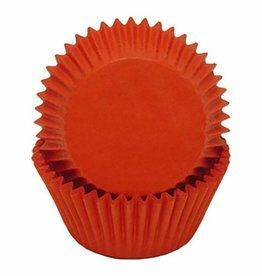 FMN-RED Mini size foil shell with white paper inner-liner baking cups, 500 pieces per pack. Great for mini cupcakes/muffins, nuts, hot/cold appetizers, and candies. 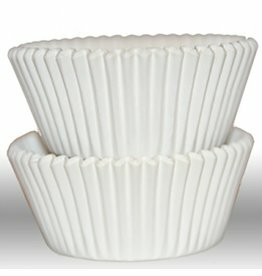 BMN-WHITE Mini size paper baking cups, 500 pieces per pack, great for cupcakes, desserts, hot/cold appetizers, and candies. 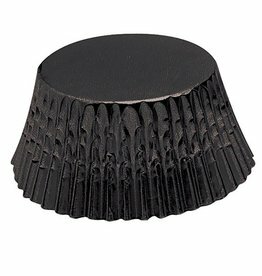 FST-BLACK Standard size foil shell with white paper inner-liner baking cups, 500 pieces per pack. Great for cupcakes/muffins, nuts, hot/cold appetizers, and candies. FST-GOLD Standard size foil shell with white paper inner-liner baking cups, 500 pieces per pack. Great for cupcakes/muffins, nuts, hot/cold appetizers, and candies. 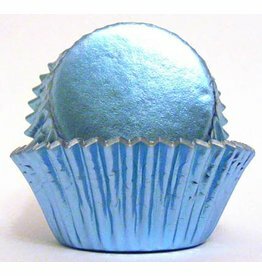 FST-BLUE Standard size foil shell with white paper inner-liner baking cups, 500 pieces per pack. Great for cupcakes/muffins, nuts, hot/cold appetizers, and candies. 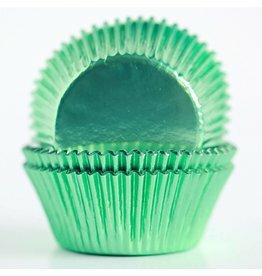 FST-GREEN Standard size foil shell with white paper inner-liner baking cups, 500 pieces per pack. Great for cupcakes/muffins, nuts, hot/cold appetizers, and candies. 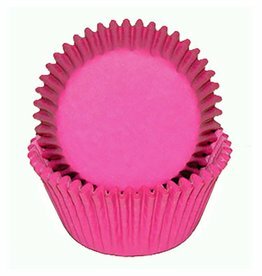 PST-PINK Standard size foil shell with white paper inner-liner baking cups, 500 pieces per pack. Great for cupcakes/muffins, nuts, hot/cold appetizers, and candies. 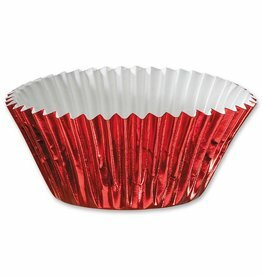 FST-RED Standard size foil shell with white paper inner-liner baking cups, 500 pieces per pack. Great for cupcakes/muffins, nuts, hot/cold appetizers, and candies. 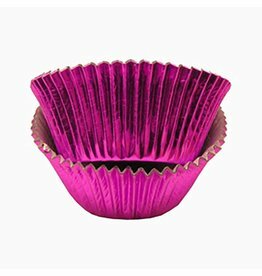 FST-SILVER Standard size foil shell with white paper inner-liner baking cups, 500 pieces per pack. Great for cupcakes/muffins, nuts, hot/cold appetizers, and candies. 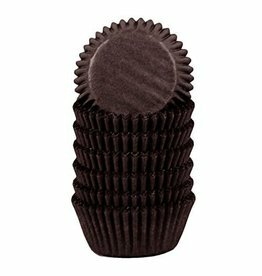 BST-BROWN Standard size paper baking cups, 500 pieces per pack, great for cupcakes, muffins, desserts, hot/cold appetizers, and candies. 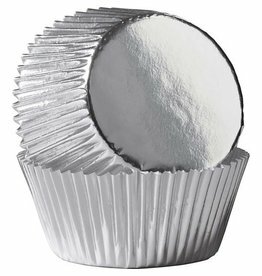 BST-WHITE Standard size paper baking cups, 500 pieces per pack, great for cupcakes, muffins, desserts, hot/cold appetizers, and candies. NCN1J62607-S The 160/50 Tulip baking cup is made with grease-resistant paper.